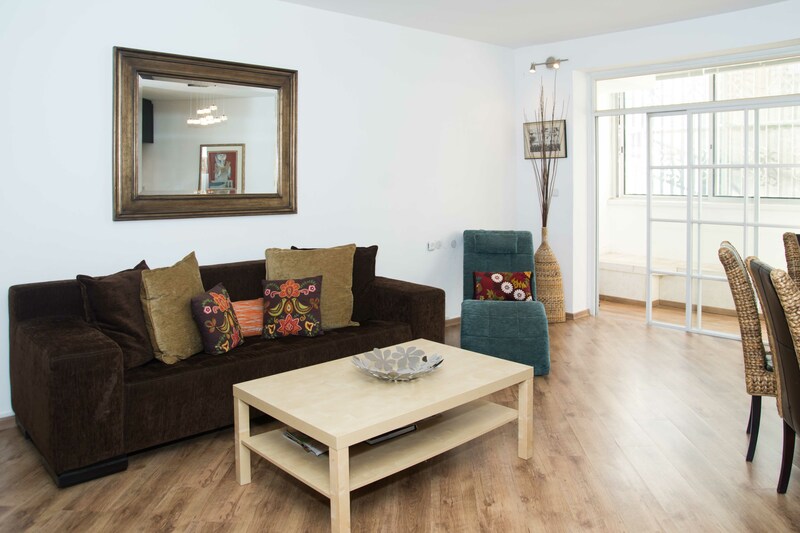 You and your family will feel right at home in this comfortable Rechavia apartment, styled with contemporary furnishings and a warm, charming touch. 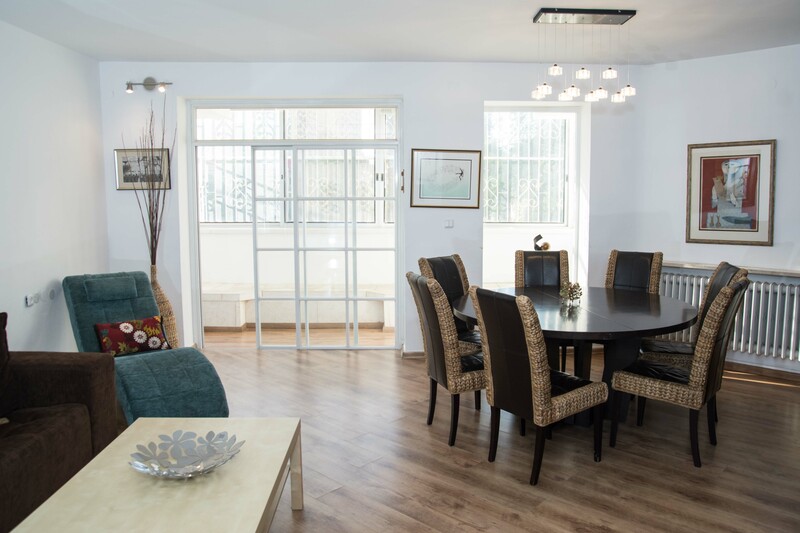 Surrounded by lush greenery, this well-kept apartment and building complex is only a short walk from the Kotel, downtown Jerusalem and Ben Yehuda Street. 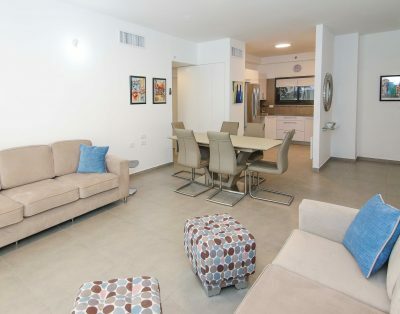 There are many synagogues and shopping areas nearby, and a plentiful selection of restaurants and cafes to choose from. 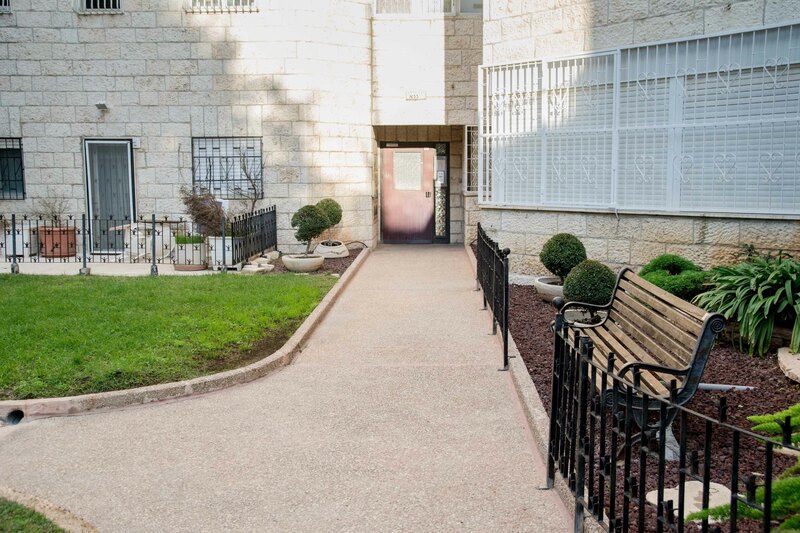 If you’re in the mood for a scenic stroll, the Israel Museum, the Knesset and the surrounding Wohl Rose Garden are only one neighborhood away. 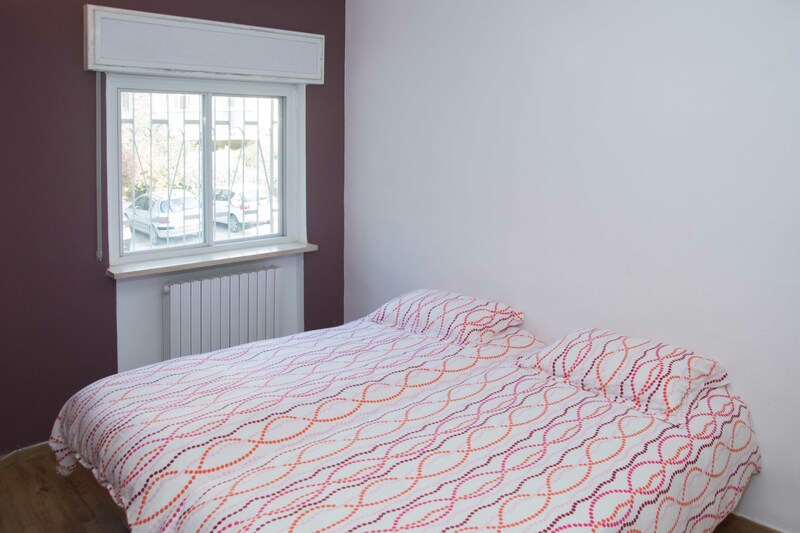 Three large bedrooms allow for up to eight people to sleep comfortably. 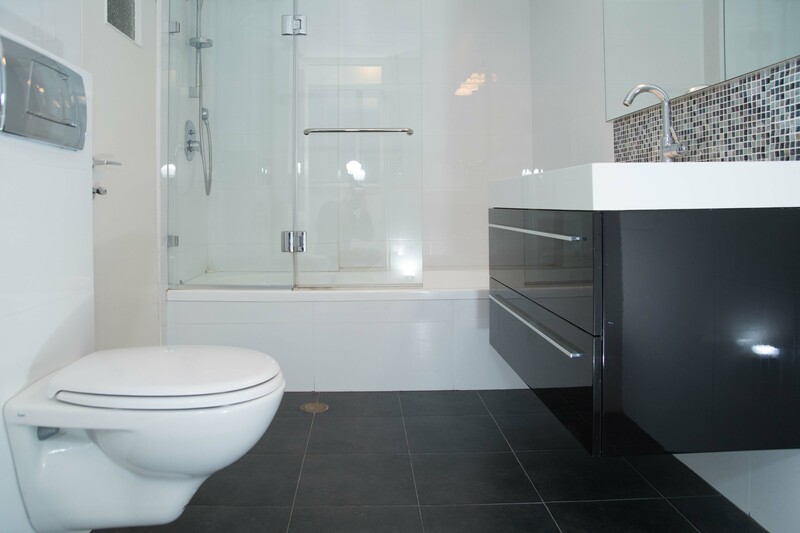 The large, roomy closets allow you to unpack and immediately settle in. 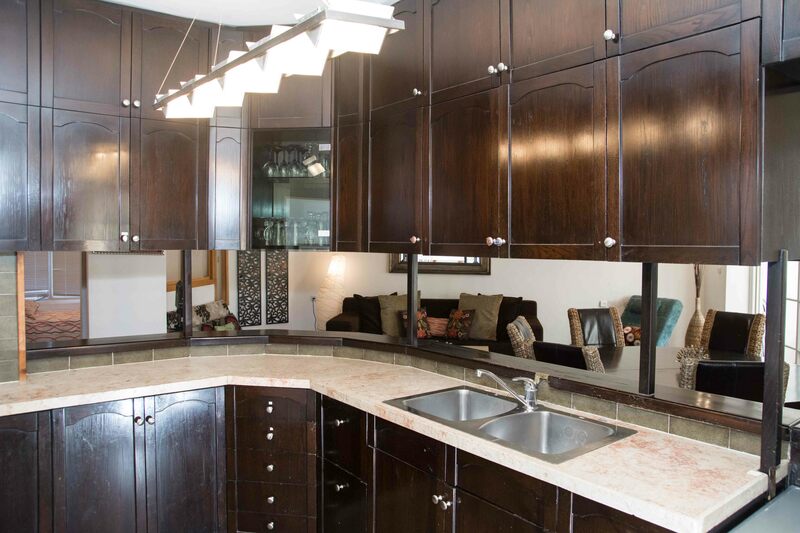 The sunlit dining area is connected to a wood and stone accented kitchen with a built-in breakfast niche and separate walk-in pantry. 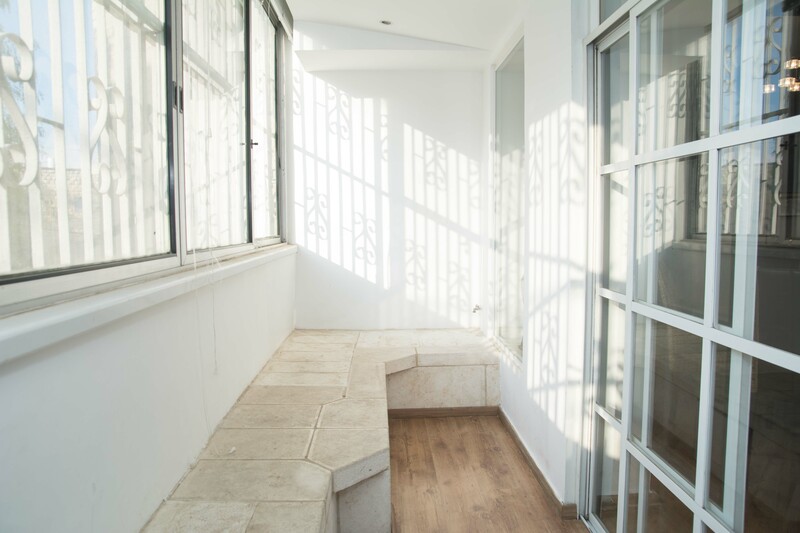 Off of the living room, an enclosed balcony provides a bright and airy sitting lounge. 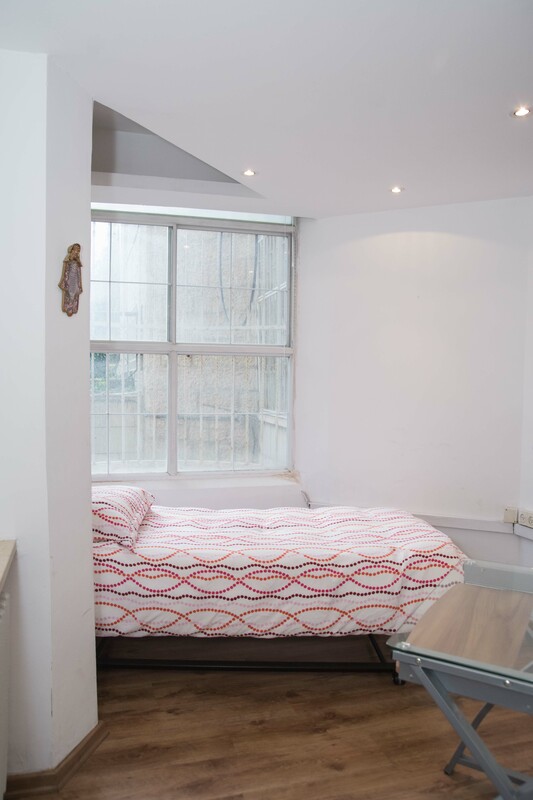 A half bedroom equipped with a desk, coupled with wi-fi service, gives you a convenient office/workspace. 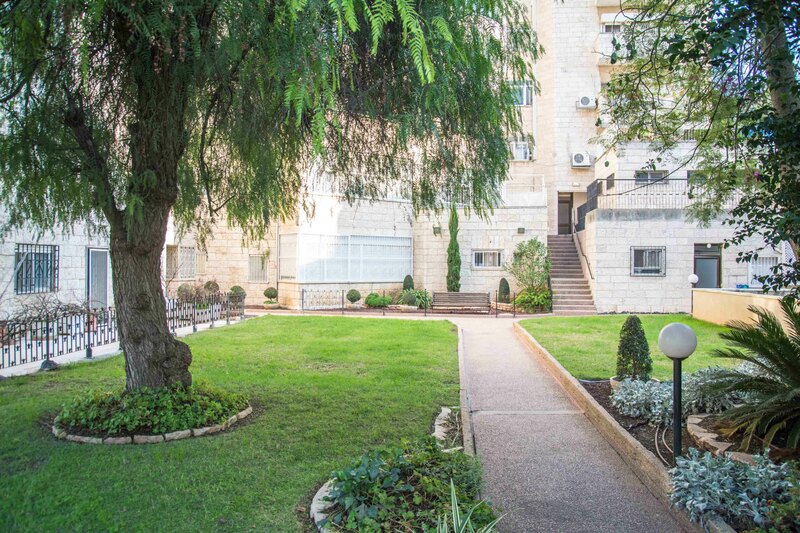 When you want to enjoy the fresh Jerusalem air, a shared outdoor garden space is also available. 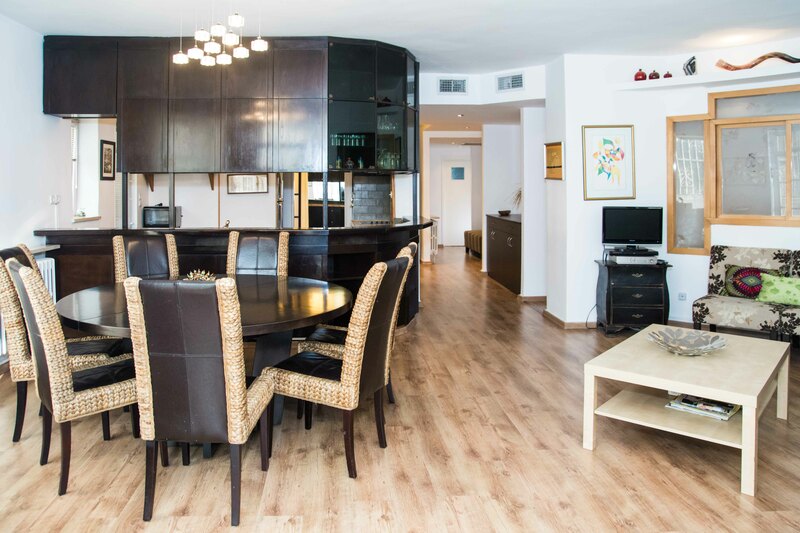 Equipped with all the modern conveniences and amenities you may need, it’s an ideal spot for your family vacation. 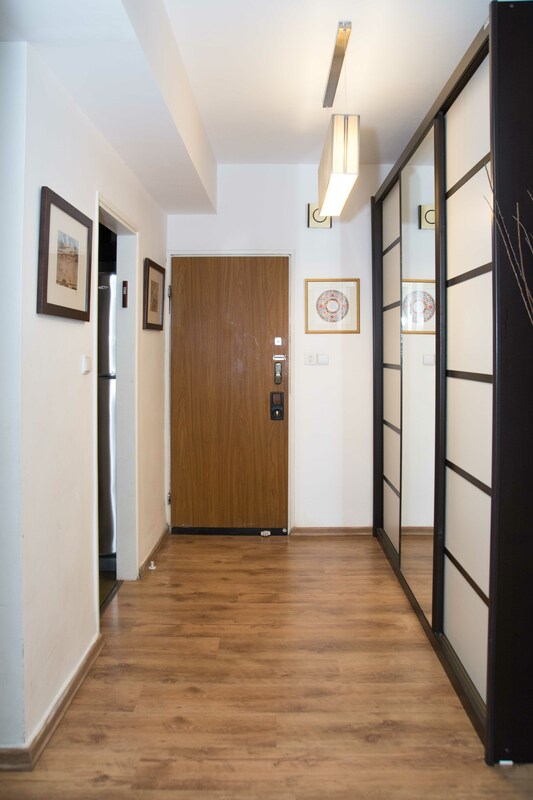 In addition, the apartment comes with a private parking spot located on the underground parking lot of the building complex, allowing you to easily come and go as you please. 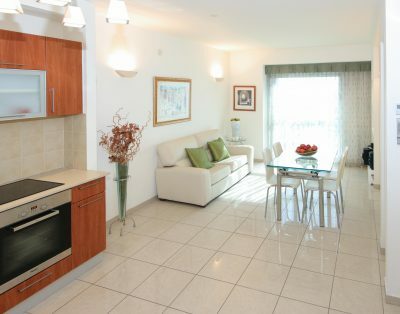 This Jerusalem apartment is managed exclusively by City of Gold Apartments. 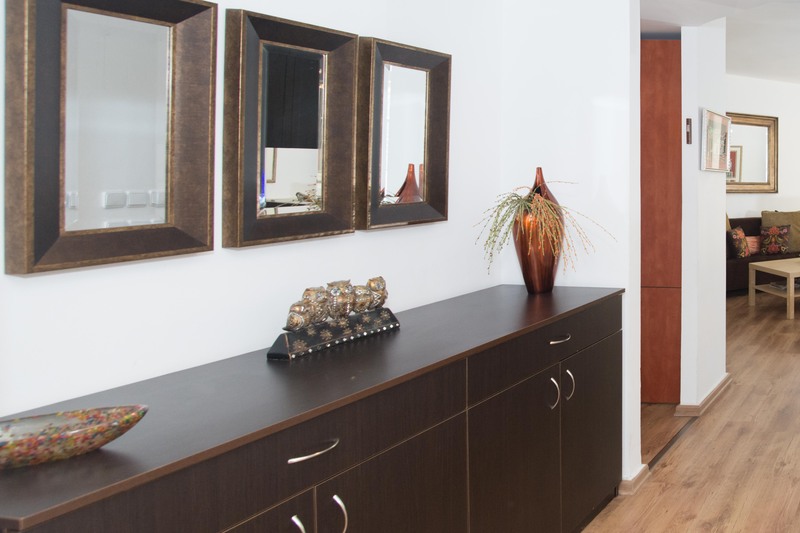 Upon arrival at your vacation rental, an agent from COG will meet you at the door to acquaint you personally with the apartment. 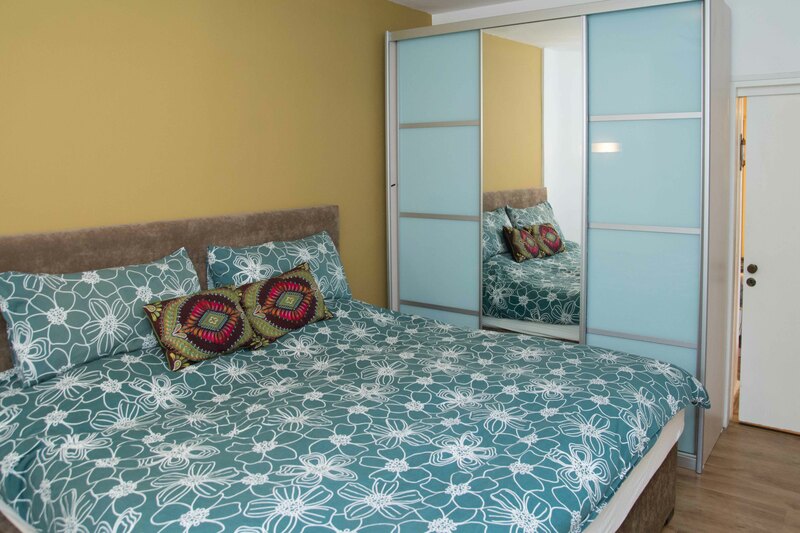 We make it a top priority to be available throughout your stay, and we will gladly provide assistance for any needs that may arise. Parking: The apartment has private parking for 1 car under the building. The whole stay was very great. First of all, everything went smoot when we mooved in, and the flat is even better than in reality that it looks in photography. 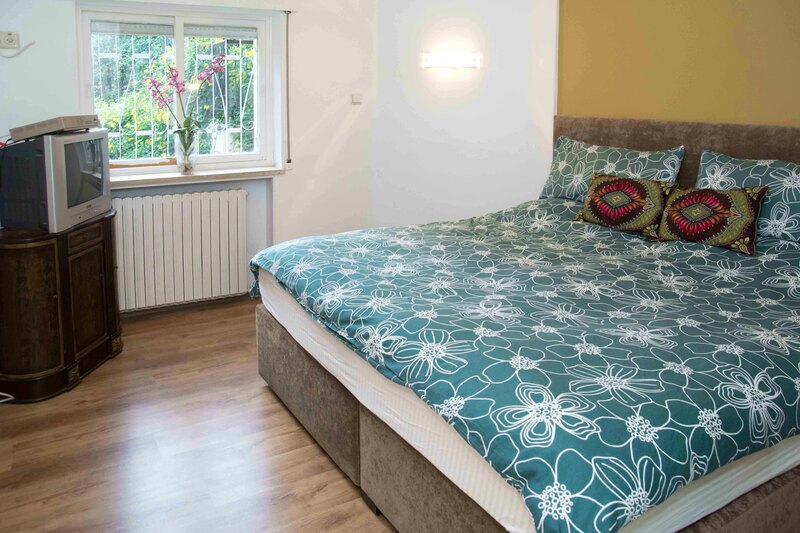 Nice beds, nice pillows, very nice showers etc Furthermore, the kitchen was a huge plus as everything was there to cook, crokery, grills etc and above all things everything was kosher ( meat/dairy crokery etc) which was very nice. 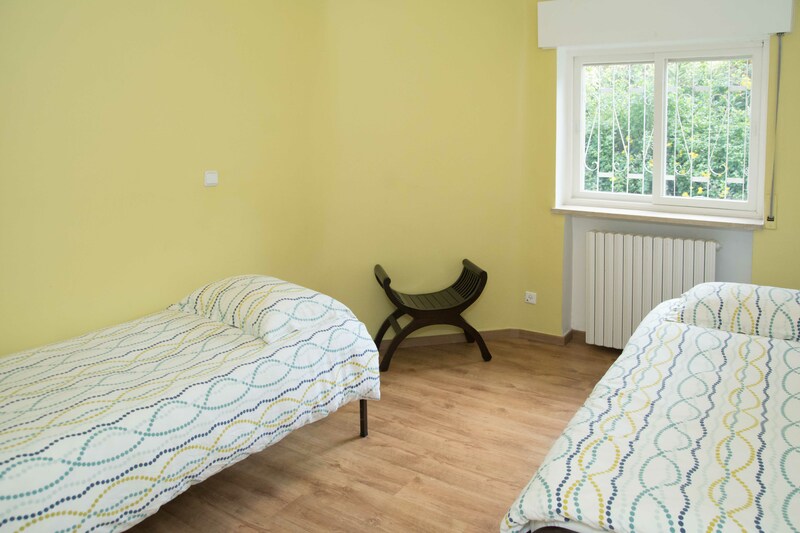 The area is quiet, residential, very nice and with a nice garden at the entrance of the building. We were not far from the Israel Museum, or the Mamila and the Old Jerusalem. Communicating with Mr Goldberg and his Assistant Heather was very nice also, and they were always ready to help us around. We had a tiny problem with th AC which got fixed in couple hours they brought an electrician, indeed. In a nutshell, this is a very serious and honest host. The flat is very great and the area awesome. We definitely plan to come back there if we ever go back to Jerusalem. Congratulations and thank you.